EGAY Macaraya is taking on a new challenge after accepting the head-coaching job of alma mater San Sebastian in the NCAA. Macaraya confirmed to Spin.ph on Thursday he will be the next coach of the Stags replacing another former Star in Rodney Santos, saying he has reached an agreement with school officials. Macaraya said he will remain with the successful CEU Scorpions basketball program as its consultant, while also keeping his PBA D-League position as coach of the Café France Bakers, who have a school tie-up with CEU. Efren 'Yong' Garcia, one of Macaraya's assistants, will take over as CEU head coach. “I was released by CEU in good faith. 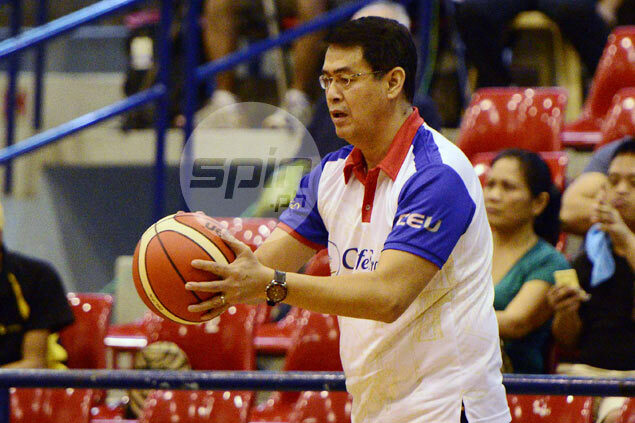 But I will still be the coach in the PBA D-League,” said Macaraya. Macaraya said Advance Solutions Inc., which like CEU and Café France is also owned by the Yap family, will also be supporting the San Sebastian basketball program. “Boss JJ (Johnny Yap) is willing to help San Sebastian sa basketball. Maganda ‘yung pag-uusap namin so walang naging problema,” said Macaraya, who played for the Stags in the nineties before moving up to the PBA. Since taking over the CEU basketball program in 2012, Macaraya has led the Scorpions to three National Athletic Association for Schools, Colleges, and Universities (Naascu) titles, making it one of the most successful college basketball programs outside the UAAP and the NCAA. He is now tasked to revive the basketball program of San Sebastian, which has yet to win an NCAA title since Ato Agustin guided a Jimbo Aquino and Calvin Abueva-led squad to the 2009 championship. “Yes (it’s a challenge) and besides, alma mater ko ‘yan. It’s not just another challenge. Hopefully, I pray na bumalik ‘yung winning tradition sa Baste,” Macaraya said.